But on Oct. 6, 2014, the couple’s plans were upended. Mrs. Gooding, who was scheduled for a C-section later that month, woke up with intense pain. They hurried to Lenox Hill Hospital, where she was then rushed to the emergency room. The expecting mother woke up one day later to the sounds of doctors scurrying in and out of the room. She was intubated and couldn’t speak. She had suffered a placental abruption, a condition in which the placenta tears away from the uterus, causing immense blood loss for the mother and baby. Physicians performed an emergency hysterectomy to halt the bleeding and save Mrs. Gooding’s life. Her baby, they explained, did not survive. 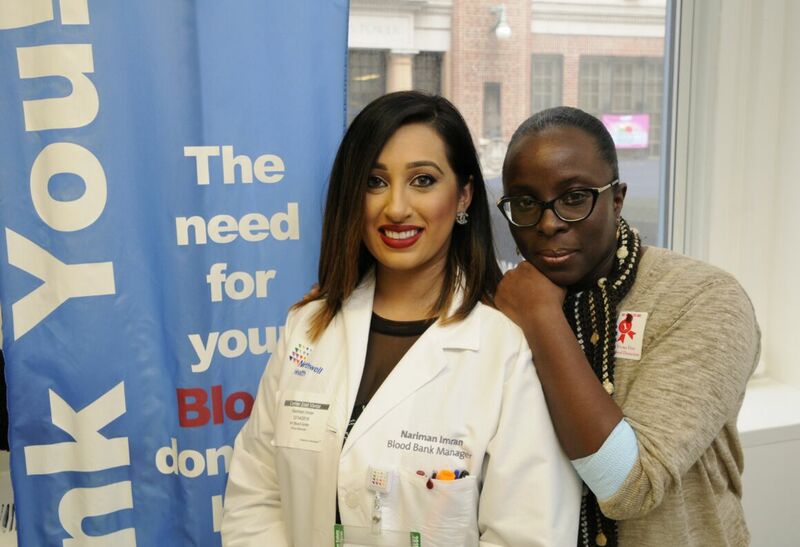 Lenox Hill Hospital hosts blood drives year-round. Join us in giving back every season. That day Mrs. Gooding required everything from platelets to plasma – about 86 products – prepared by the blood bank. Like all hospital units, the labor and delivery unit is armed with a process to alert and communicate with the blood bank when emergency hits. “We recognize blood loss very quickly in patients, and we immediately call a code that activates the blood bank and lets them know that we have an emergency,” said Jessica Callard, RN, nurse manager of labor and delivery at Lenox Hill. While doctors fought to save Mrs. Gooding’s life, Nariman Imran was hard at work in the hospital’s blood bank, preparing blood products for emergency delivery. Mrs. Gooding was able to wake up and begin recovery, thanks to seamless collaboration between the blood bank and operating room. Mrs. Gooding was discharged from Lenox Hill Hospital on Oct. 11. During the car ride home, she allowed herself a “long, good cry.” She then recalled words she heard earlier that summer: use your pain for gain. The Goodings went home to face their “new normal.” They connected with other parents in Lenox Hill’s perinatal and bereavement group. They made preparations for Kayin’s funeral, where upwards of 250 friends and family gathered in support. Somewhere between loss and healing, the couple also uncovered an idea, an idea to commemorate Kayin, while also helping others. They decided to celebrate their son—and acknowledge how Mrs. Gooding's life was saved—by giving blood each year on his birthday. Mrs. Gooding contacted Lenox Hill’s blood bank to learn more. 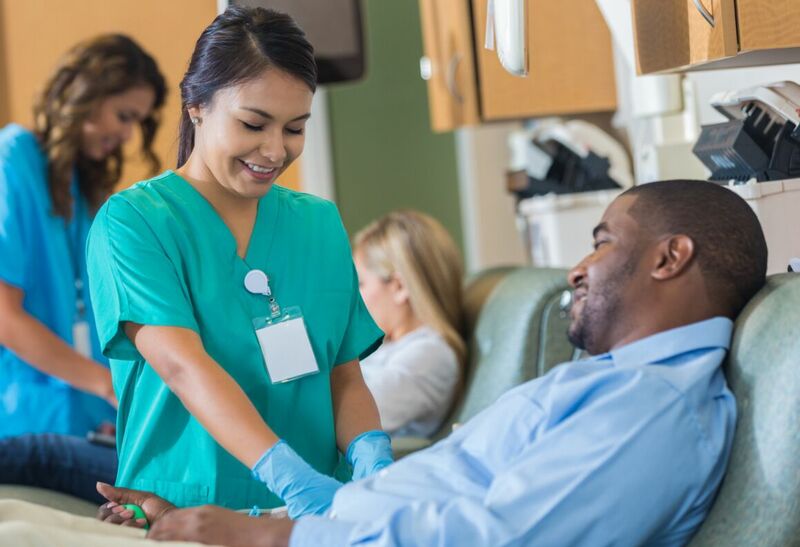 Blood transfusions are critical for patients suffering maternal hemorrhage, as well as those going through chemo, surgery or any number of traumatic events. Every two seconds, someone needs a unit of blood in the United States, and one donation can save up to three lives – those who also donate platelets can save up to four. Those eligible to donate blood can make an appointment or walk in to any New York Blood Center location. Donations are welcome year-round, but are especially crucial in winter and summer months when blood shortages tend to occur, according to Ms. Imran. 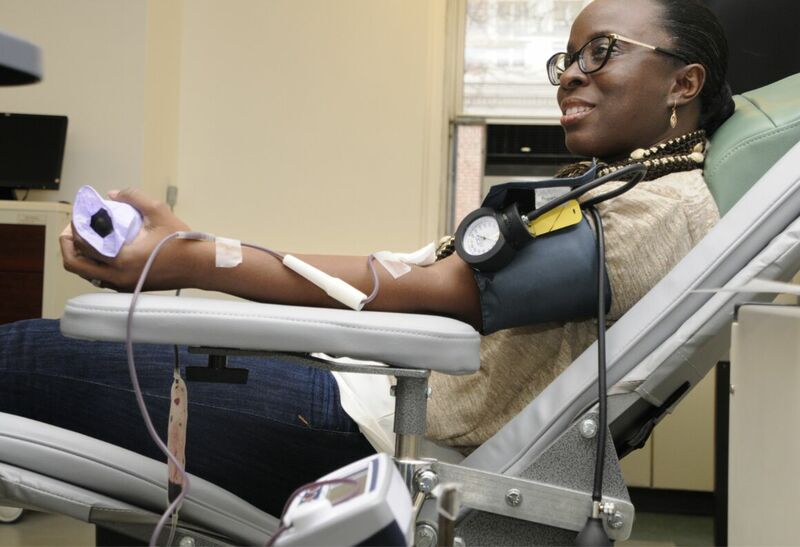 Lenox Hill Hospital will host four blood drives in 2019: January 31, April 18, July 23 and October 31. Last year, the hospital's fall blood drive fell on Oct. 9, right around Kayin’s birthday. The Goodings maintain their tradition of giving blood on their son’s birthday, and are determined to do as much good as they can through donation. With their vast network of family and friends, the couple hopes to host their own community blood drive in the near future.